Human life is the most precious gift that we have got. Living a life full of bliss, spirituality, pursuit of noble cause and contribution to the society are the goals that we all pursue. A few of us achieve while a few fail. What pinches me the most is that these failures are due to cruelty of other human beings. Whenever I see beggars on Railway Platforms and Bus Stands, I wonder, 'Why doesn't somebody come up to feed these human beings?' Many of these people have been tortured to the present status by other human beings. Whenever there are discussions on Mega-Projects, I feel this project should be the first project to be taken up before any Mega-Project. The spirit to serve is still there among Indians. A small initiative can help these beggars to refurbish their life. I have come to know that every year large number of girls and women get tortured to the extent that they get completely broken up. With no home, no respect, no shelter, no support, no source of income and no ray of hope, they crush down to a living dead. Many of them get pregnant also and the life of the new baby meets similar perils. 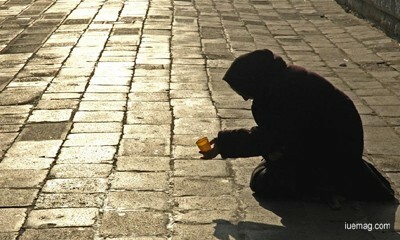 Some of these people spend the rest of their lives as beggars or in other in-human conditions. What resources do we require to end begging, drudgery, in-human conditions and support those who have been victims of human cruelty? My yesterday's visit to Bhai Kanhaiya Ashram was an eye-opener for me. What a physically challenged person Gurvindra Singh can do is a real lesson for everyone who has some sentiments left for the cause of humanity. A lady from a very respectable profession converted into a mentally retarded person after such incidents. However, one NGO adopted her and now she is recovering and probably in a short time she will be able to regain her old state. In a similar incident, another lady suffered gang-rapes after gang rapes. She lost all her senses. This NGO helped her to recover. She went back to her normal life and again she received the previous encounters. Again she was adopted by the same NGO. She is now again recovering. This NGO has by now given re-birth to the lives of fifty such ladies (who were mentally retarded and living in abject despicable conditions suffering gang rapes and extreme tortures). Five of these have now left this NGO to re-start their life with a fresh bold approach as normal human beings. The name of this NGO is Bhai Kanhaiya Ashram. In 1997, Gurvindra Singh suffered a major accident and lost his ability to walk or stand. This adversity forced him to light a new beacon in his life. He devoted his new life to alleviate others' pain. He is involved in many philanthropic projects. His sincere efforts have given him a large number of donors and well-wishers, who proudly support all his ventures. He started this Ashram in 2011, which now has over 50 victims of rapes and other extreme tortures. Most of these were converted into mentally retarded persons. They are recovering as normal human being in the Bhai Kanhaiya Ashram. They also learn some skills like embroidery, cooking etc., so that they can start earning also. Their children also grow up as responsible citizens and get the required education and grooming. Gurvindra Singh passionately gives all his energy and initiatives to turn around their lives. His amazing work has created a large number of people to spread words on his noble cause and therefore there are enough donations to support this philanthropic venture. The millionaires of Sirsa join him in begging resources for this great cause. They now have six Ambulances, a well maintained beautiful building and a committed team of workers and supporters for a great cause. What Bhai Kanhaiya Ashram does in Sirsa, Apna Ghar does in Bikaner. Those who are utterly helpless, find someone who drops them to Apna Ghar, which gives them home, care, support and training for a new life. Any facts, figures or references stated here are made by the author & don't reflect the endorsement of iU at all times unless otherwise drafted by official staff at iU. This article was first published here on 29th March 2014.